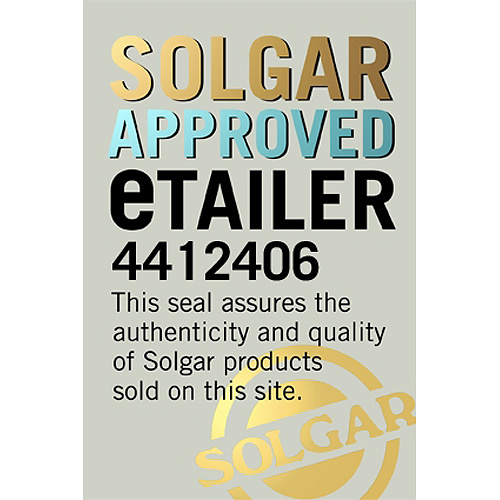 In stock -This product will ship today if ordered within the next 6 hours and 26 minutes. 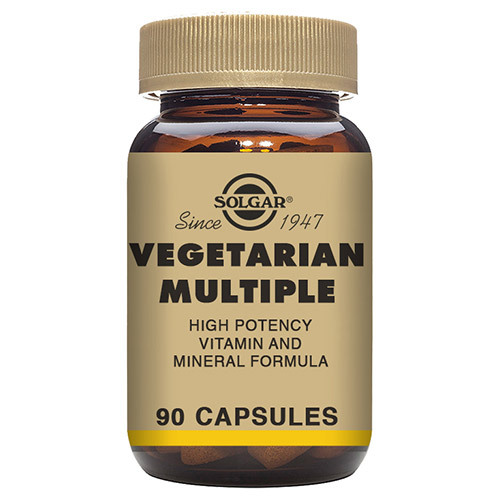 Solgar® Unique Vegetarian Multiple is the perfect `wellness insurance policy` comprising all the essential vitamins and minerals, along with additional trace elements and food factors. 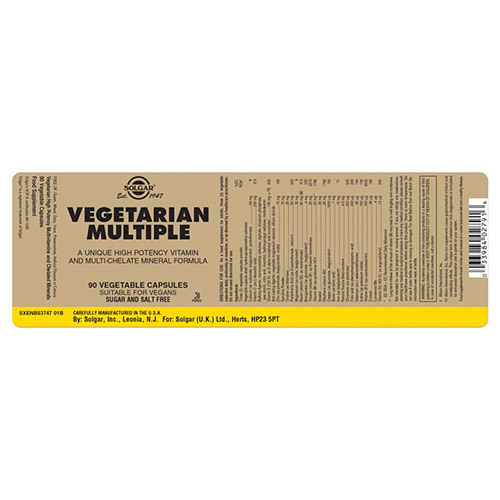 Encapsulated in a convenient vegetarian capsule, Vegetarian Multiple can be used by vegetarians and non-vegetarians alike but is formulated to boost intake of those nutrients a vegetarian diet may go short of. This unique multivitamin formula contains a range of essential vitamins and mineral in a three a day dose, including a unique form of chelated iron formulated for maximum absorption without gastrointestinal irritation. Also contains: Vegetable capsule shell: hypromellose, vegetable magnesium stearate, silicon dioxide, microcrystalline cellulose, hypromellose. Vegetable Capsule Shell: hydroxypropylmethyl cellulose, Vitamin C (ascorbic acid), Calcium (as bisglycinate†, carbonate), Vitamin E (150 IU, d-alpha tocopheryl succinate), Anti-caking Agents: vegetable magnesium stearate, silicon dioxide, Zinc (as picolinate, bisglycinate, oxide), Spirulina Powder, Natural Source Beta-carotene (as prep. ), Providing other carotenoids, Bulking Agents: microcrystalline cellulose, hydroxypropyl cellulose, Choline (as bitartrate), Pantothenic Acid (as calcium pantothenate), Magnesium (as oxide, bisglycinate), Iron (as bisglycinate), Niacin (B3, as nicotinamide), Boron (as sodium borate, citric acid), Manganese (as gluconate, bisglycinate), Thiamin (as thiamine mononitrate), Vitamin B6 (as pyridoxine HCI), Riboflavin (Vitamin B2), Inositol, Selenium (as selenomethionine), Vitamin B12 (as cyanocobalamin prep), Copper (as gluconate, bisglycinate), D-biotin (as prep), Vitamin D (400 IU, as ergocalciferol prep), Folic Acid (as prep), Iodine (as potassium iodide prep), Chromium (as picolinate). 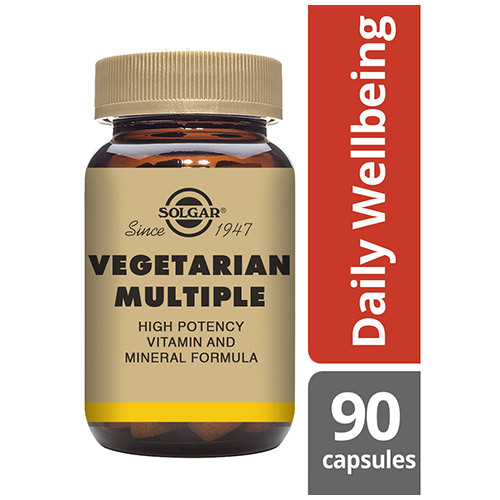 As a food supplement for adults, three vegicaps daily, preferably at mealtimes, or as directed by a healthcare practitioner. 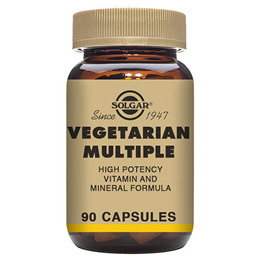 Below are reviews of Solgar Vegetarian Multiple - Multivitamin - 90 Vegicaps by bodykind customers. If you have tried this product we'd love to hear what you think so please leave a review.